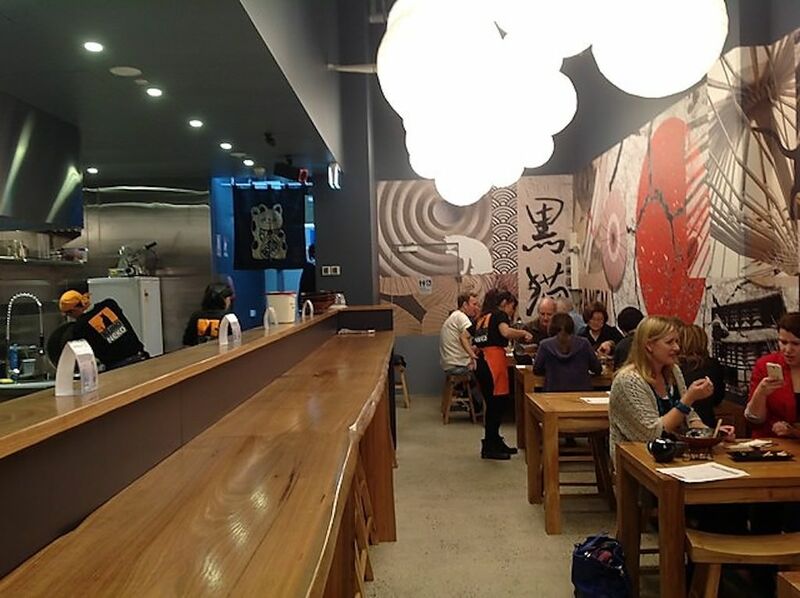 Kuroneko Ramen is a Noodle Bar in Sutherland. JC ventilation was responsible for the design of the mechanical ventilation system as well as development application approvals from the Sutherland Shire Council. Due to odour being discharged, the council required the use of odour control technology to reduce smoke and odour. This required that the system was to be designed to the Australian standards in accordance with AS 1668 Part 1 & 2. 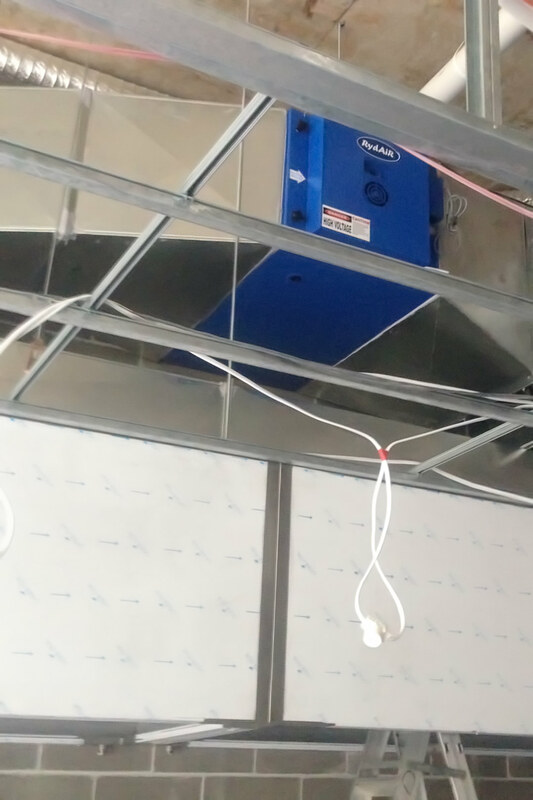 An electrostatic air cleaner supplied by Air and Odour Solutions Australia was implemented to reduce the smell coming from the kitchen. The installation included 2x stainless steel kitchen exhaust hoods (2400 x 1100 x 750 H). They were dynabolted to the back wall and hung from the structural beams above. At the top of the kitchen exhaust hood, plenum ducting was installed to spread the air evenly across both sides of the kitchen exhaust hood. This project was quite challenging due to the tight ceiling space. As JC Ventilation was involved from the get-go, the mechanical ventilation drawing plan we designed at the start of the project proved to be useful in overcoming this issue. as we able to accurately plan ahead of time. 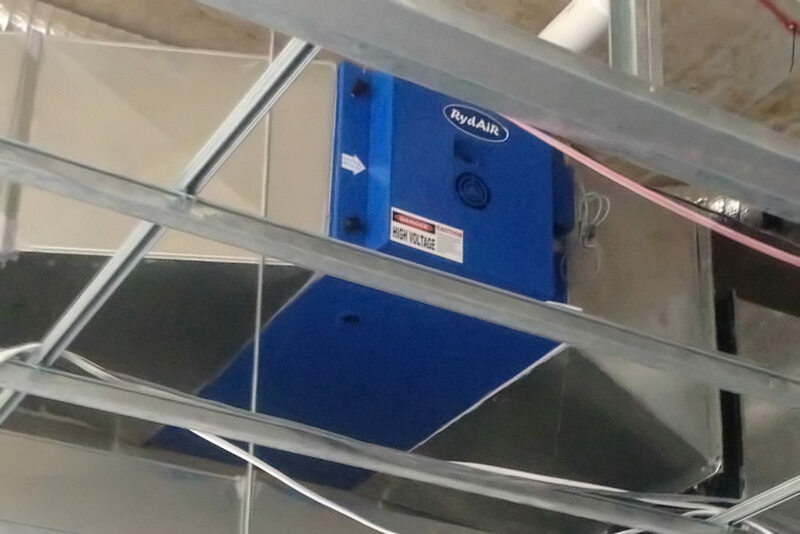 Upon the completion of the ducting, we installed the AOS RY5000 electrostatic air cleaner, followed by the 3 phase kitchen exhaust fan and finally the kitchen exhaust ducting connection to the existing system.